From time-to-time I plan to repost articles I find on the web that apply to our investment strategy. Below is one of those I found enjoyable and applicable. Albert Einstein wasn’t famous as an investor. 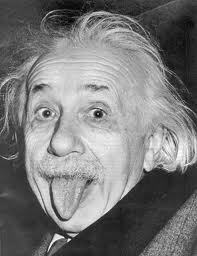 He was a genius who revolutionized theoretical physics. But if he were alive today, it’s pretty clear what he would be doing with his money. And you should be doing it, too. Let me explain… It’s a truism that when times are good, investors tend to forget about risk and focus on opportunity. When times are bad, investors tend to forget about opportunity and focus on risk. This is exactly the opposite of what they should be doing, of course.